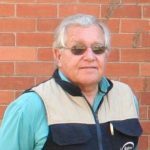 It is with great sadness that the Dohne Merino Breed Society report that Alan John Robb passed away during the night of 7 April 2019 after prolonged illness. AJ as he was known, was the proud owner and driving force behind the Robdorino Dohne Merino stud. 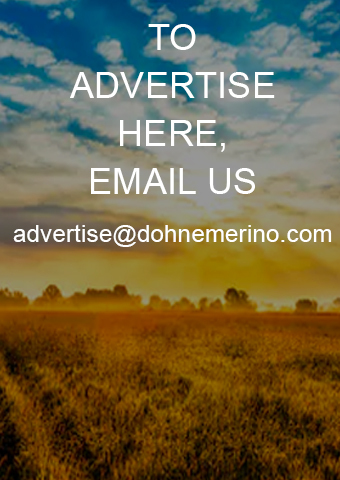 The Robdorino stud was founded in 1958 by AJ’s father Mike Robb who was one of the major role players in the Development of the Dohne Merino breed. At the Robdorino production sale of 2018, Cameron McMaster paid a special tribute to AJ and his Father Mike to celebrate the long history and many successes of one of the oldest Dohne Merino studs in South Africa. 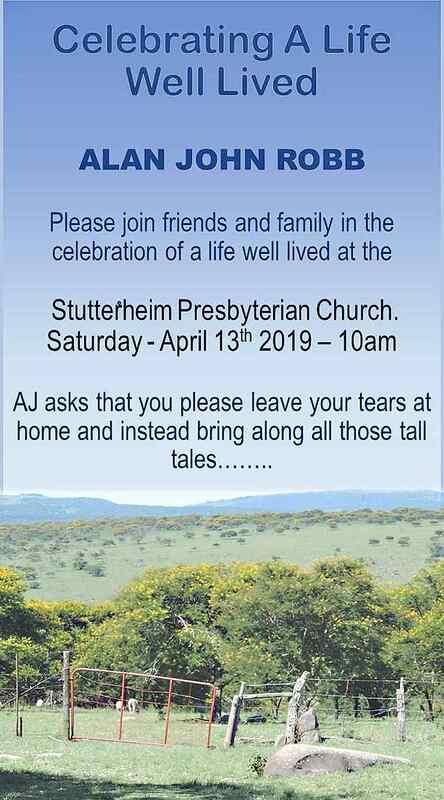 AJ will be remembered as an active member of the Stutterheim community. Especially the farming community will sure miss this cheerful and also sincere member of the society. All Dohne farmers herewith extend their condolences to AJ’s family. AJ’s Memorial service is announced by the image below. 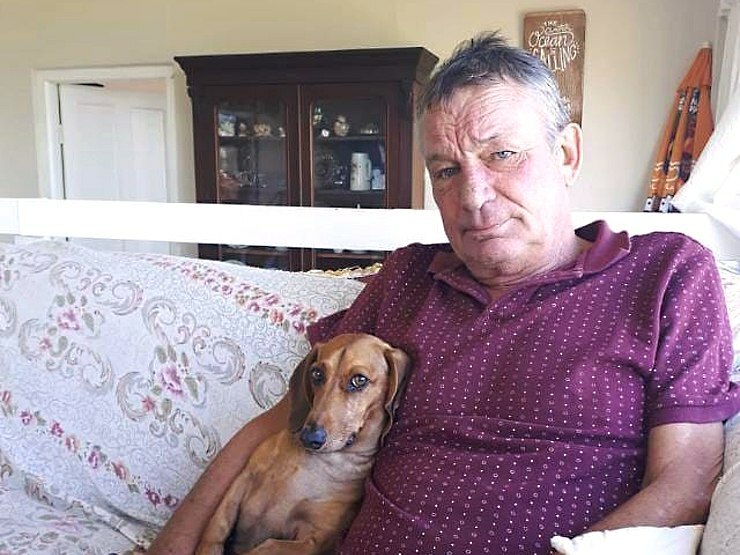 We trust that all fellow Dohne farmers will share this very sad moment with the Robb family. Subscribe & Win, Every Month! 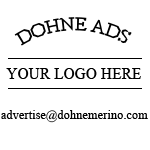 Subscribe to our newsletter, and you could be the next winner of our monthly draw.